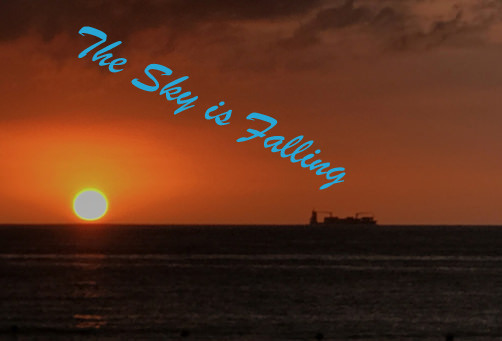 The sky is falling. And climate is changing. But just as the cause of the sky falling wasn’t quite what Chicken Little feared, the cause of climate change may not be what climate alarmists fear. Yet according to numerous climatologists, in spite of numerous other sources, the burning of fossil fuels is the primary reason for increasing CO2 emissions and the only one worthy of the full focus of regulatory agencies. And it comes as little surprise that among governments throughout the world, the most popular means of addressing CO2 emissions is through some form of taxation or manipulation (cap-and-trade and “offsetting”). As a means of attempting to reduce CO2 emissions and collecting additional revenue, several nations signed on to the Kyoto Protocols, a CO2 emissions reduction agreement between several industrialized nations (excluding the United States). The agreement took effect in 2005, yet since that time, atmospheric levels of CO2 have not only continued to increase, they have increased at faster rates than prior to the signing of the agreement. Climate data compiled by NASA specifies that during the 11 years between January, 2005 (when the Kyoto Protocol agreement went into effect) and December, 2016, atmospheric CO2 levels increased from 371.21 parts per million (ppm); to 405.25, an increase of 34.04 ppm. In contrast, according to National Oceanic and Atmospheric Administration data for the 11-year period preceding the Kyoto agreement (January, 1994 through December, 2005) CO2 levels increased only 21.87 ppm, from 358.24 ppm to 380.11 ppm. The rate of increase in atmospheric CO2 levels was therefore 55.65% greater after the Kyoto Protocol agreement went into effect than before. A graph of the above referenced statistics indicates that during the same period in which CO2 levels consistently increased, temperatures both increased and decreased in a saw tooth-like pattern. Neither NASA nor NOAA offer actual ocean or atmospheric temperature data, (or if they do, they are deeply hidden) but the Environmental Protection Agency estimates that between 1901 and 2015, sea surface temperatures have increased by .13 degrees (F) per decade. Most scientific data appears to substantiate that sea surface and atmospheric temperatures have continually risen since the early 1900s. And while a majority of climatologists purport that warming temperatures are almost exclusively a consequence of human activity in general, and industrial activities involving the burning of fossil fuels in particular, there’s little proof of those assumptions being true. World population is another aspect of the climate change equation that is largely ignored. Since 1959, world population has increased from 2.9 billion to approximately 7 billion. Concurrently, there has been a similar, if not greater increase in the activities devoted to providing food for the world’s population. Yet, the effect of the carbon footprint left by every member of the world population is ignored as contributing to atmospheric levels of CO2. This in spite of the fact that both world population and CO2 emissions have increased at persistent, and linear, rates. That politicizing has led a majority of climatologists to state that recent changes in climate are strictly the consequence of human activity. A more realistic assessment is that the earth’s climate continues to change as it has for thousands of years; human activity is simply an overlay on the base cyclical patterns. Dave Emanuel has been a journalist/author for over 30 years. He has written over 2,000 magazine articles, seven books and numerous blog posts.